Enzyme-based reversible logic gates operated in flow cells. 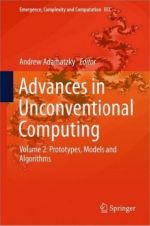 In: Advances in Unconventional Computing, A. Adamatzky (Ed. ), Springer, 2016, Volume 2, Chapter 2, pp. 29-59..
Biochemical analysis of biomarkers for forensic applications. 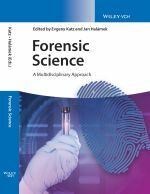 In: Forensic Science: A Multidisciplinary Approach, E. Katz (Ed. ), Wiley-VCH, Weinheim, Germany, 2016, Chapter 8, pp. 151-176. 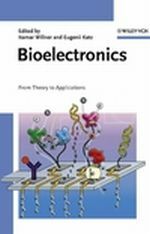 Biocatalytic electrodes and biofuel cells controlled by biomolecular signals and implantable biofuel cells operating in vivo – Towards bioelectronic devices integrating biological and electronic systems. 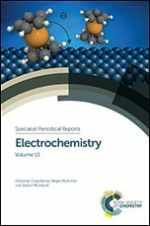 Electrochemistry, Specialist Periodical Reports, Royal Society of Chemistry, Craig Banks, Roger Mortimer, Steven McIntosh (Eds. ), vol. 13, 2015, 170-209. Switchable electrodes and biofuel cells logically controlled by chemical and biochemical signals. 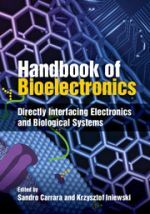 In: Handbook of Bioelectronics, K. Iniewski, S. Carrara (Eds. ), Cambridge University Press, 2015, Chapter 17, pp. 215-238. E. Katz, Implantable bioelectronics – Editorial introduction; Chap. 1, pp. 1-5. E. Katz, Implanted biofuel cells operating in vivo; Chap. 17, pp. 363-379. E. Katz, Conclusions and perspectives; Chap. 20, pp. 435-436. E. Katz (Ed. ), Wiley-VCH, Weinheim, Germany, 2014. E. Katz, V. Bocharova, J. Halámek, Switchable electrodes and biofuel cells. 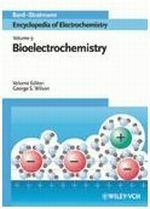 In: Electrochemical Processes in Biological Systems, The Wiley Series on Electrocatalysis and Electrochemistry. L. Gorton, A. Lewenstam (Eds. ), Willey, 2015, Chapter 10, pp. 231-252; ISBN-10: 0470578459 | ISBN-13: 978-0470578452. J. Halámek, E. Katz, Electrochemical systems controlled by enzyme-based logic networks: Towards biochemicaly controlled bioelectronics. 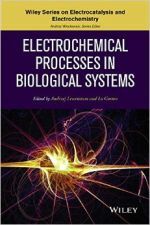 In: Electrochemical Processes in Biological Systems, L. Gorton, A. Lewenstam (Eds. ), Willey, 2015, Chapter 10, pp. 231-252. E. Katz, Biomolecular computing: From unconventional computing to “smart” biosensors and actuators – Editorial introduction. Chapter 1, pp. 1-8. E. Katz, Bioelectronic devices controlled by enzyme-based information processing systems. Chapter 4, 61-80. E. Katz, J. Wang, Enzyme-logic digital biosensors for biomedical applications. Chapter 5, pp. 81-101. G. Strack, H.R. Luckarift, G.R. Johnson, E. Katz, Information security applications based on biomolecular systems. Chapter 6, pp. 103-116. E. Katz, Conclusions and perspectives. Chapter 18, pp. 347-350. 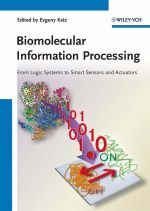 In: Biomolecular Information Processing - From Logic Systems to Smart Sensors and Actuators, E. Katz (Ed. ), Wiley-VCH, Weinheim, Germany, 2012. E. Katz, V. Bocharova, Molecular information processing: From single molecules to supramolecular systems and interfaces – From algorithms to devices – Editorial introduction. Chapter 1, pp. 1-9. E. Katz, Electrodes interfaces switchable by physical and chemical signals operating as a platform for information processing. E. Katz, Conclusions and perspectives. Chapter 15, pp. 355-357. 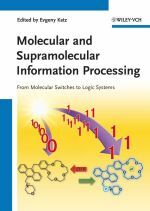 In: Molecular and Supramolecular Information Processing: From Molecular Switches to to Logic Systems, E. Katz (Ed. ), Wiley-VCH, Weinheim, Germany, 2012, Chapter 14, pp. 333-354. Multi-signal processing biosensors and bioactuators based on biocomputing concept. 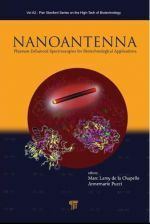 In: Nanoantenna - Plasmon Enhanced Spectroscopies for Biotechnological Applications. Pan Stanford Series on the Hightech of Biotechnology – Nanobiotechnology, vol. A2, Marc Lamy de la Chapelle and Annemarie Pucci (Eds. ), Pan Stanford Publishing, 2012. E. Katz, Several (more than 30) entries in the dictionary. 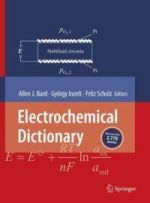 In: Electrochemical Dictionary, A.J. Bard, G. Inzelt, F. Scholz (Eds. ), Springer, 2012, 2nd edition. Biomedical applications of magnetic particles. 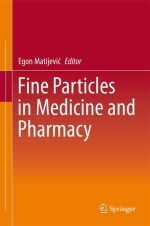 In: Fine Particles in Medicine and Pharmacy, E. Matijević (Ed. ), Springer, 2011, Chapter 5, pp. 147-173. E. Katz, DNA-functionalized carbon nanotubes (pp. 73-75); DNA-functionalized nanoparticles (pp. 75-76). 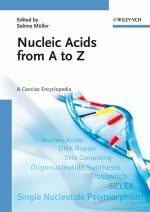 In: Nucleic Acids from A to Z - A Concise Encyclopedia (S. Müller, Ed. ), Wiley-VCH, Weinheim, Germany, 2008. E. Katz, Bionanotransporters, pp. 375-393. 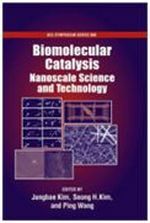 In: Biomolecular Catalysis - Nanoscale Science and Technology, Jungbae Kim, Ping Wang (Eds.) ACS symposium series book, Washington D.C., 2008. 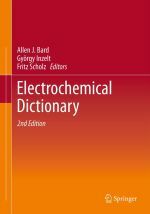 In: Electrochemical Dictionary, A.J. Bard, G. Inzelt, F. Scholz (Eds. ), Springer, 2008. E. Katz, B. Willner, I. Willner, Amplified electrochemical and photoelectrochemical analysis of DNA, pp. 195-246. In: Perspectives in bioanalysis, Vol. 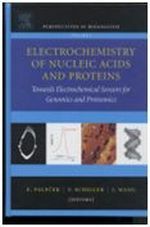 1, Electrochemistry of nucleic acids and proteins – Towards electrochemical sensors for genomics and proteomics, E. Palecek, F. Scheller, J. Wang (Eds. ), Elsevier, Amsterdam, 2005. E. Katz, Bioelectronics, pp. 85-98. 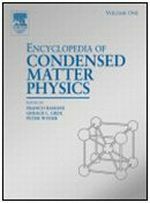 In: Encyclopedia of Condensed Matter Physics, G. Bassani, G.L. Liedl, P. Wyder (Eds. ), Elsevier, Vol. 1, 2005. I. Willner, E. Katz, Bioelectronics: Introduction. Chapter 1, pp. 1-13. J. Wang, E. Katz, I. Willner, Biomaterial-nanoparticle hybrid systems for sensing and electronic devices, Chapter 8, pp. 231-264. E. Katz, A.N. Shipway, Molecular optobioelectronics, Chapter 11, pp. 309-338. I. Willner, E. Katz, Conclusions and perspectives. Chapter 15, pp. 457-461. 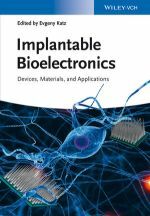 In: Bioelectronics: From Theory to Applications, I. Willner, E. Katz (Eds. ), Wiley-VCH, Weinheim, Germany, 2005. 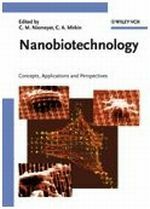 E. Katz, Electronic biosensors based on biomaterial-nanoparticle hybrid systems, Chapter 14, pp. 447-474. 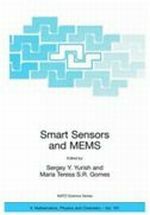 In: Smart Sensors and MEMS, S.Y. Yurish, M.T.S.R. Gomes (Eds. ), Springer Verlag, NATO Science Series, Vol. 181, 2005. E. Katz, I. Willner, Immunosensors and DNA sensors based on impedance spectroscopy, Chapter 4, pp. 67-106. In: Ultrathin Electrochemical Chemo- and Biosensors. Technology and Performance, V. Mirsky (Ed. 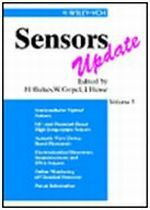 ), Springer Series on Chemical Sensors and Biosensors. Methods and Applications, O. Wolfbeis (Series Ed. ), Springer-Verlag, Berlin, 2004. 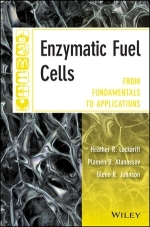 E. Katz, Biofuel cells, pp. 33-37. 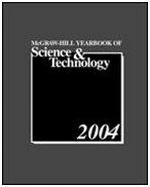 In: 2004 Yearbook of Science and Technology, D. Blumel (Ed. ), McGraw-Hill Professional, New York, 2004. E. Katz, I. Willner, Nanoparticle-biomaterial hybrid systems for bioelectronic devices and circuitry, Chapter 14, pp. 200-226. In: NanoBiotechnology, C.M. Niemeyer, C.A. Mirkin (Eds. ), Wiley-VCH, Weinheim, 2004. E. Katz, A.N. Shipway, I. Willner, Biomaterial-nanoparticle hybrid systems: Synthesis, properties and applications, Chapter 6, pp. 368-421. 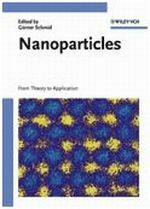 In: Nanoparticles - From Theory to Applications, G. Schmid (Ed. ), Wiley-VCH, Weinheim, 2003. I. Willner, B. Willner, E. Katz, Bioelectronics: Development of biosensors, biofuel-cells and circuitry., pp. 311-339. 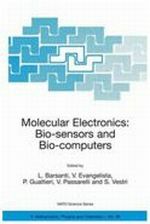 In: Molecular Electronics: Bio-sensors and Bio-computers, NATO Science Series, II. Mathematics, Physics and Chemistry - Vol. 96, L. Barsanti, V. Evangelista, P. Gualtieri, V. Passarelli, S. Vestri (Eds. ), Kluwer Academic Publishers, Dordrecht, The Netherlands, 2003. E. Katz, A.N. Shipway, I. Willner, Biofuel cells: Functional design and operation, Chapter 21, pp. 355-381. 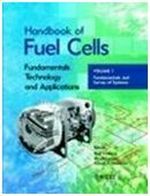 In: Handbook of Fuel Cells - Fundamentals, Technology, Applications, W. Vielstich, H. Gasteiger, A. Lamm (Eds. ), Vol. 1, Part 4, Wiley, 2003. E. Katz, A.N. Shipway, I. Willner, Chemically functionalized metal nanoparticles: Synthesis, properties and applications, Chapter 2, pp. 5-78. 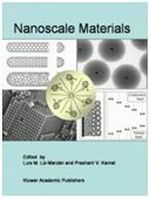 In: Nanoscale Materials, L.M. Liz-Marzan, P. Kamat (Eds. ), Kluwer, Boston, 2003. E. Katz, I. Willner, Biofuel cells based on monolayer-functionalized biocatalytic electrodes, pp 175-196. 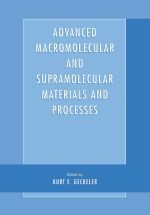 In: Advanced Macromolecular and Supramolecular Materials and Processes, K.E. Geckeler (Ed. ), Kluwer Academic/Plenum Publishers, New York, 2003. E. Katz, A.N. Shipway, I. Willner, Electronic and optical transformations of photoisomerization processes at molecular- and biomolecular-functionalized surfaces, Chapter II-7, pp. 219-268. 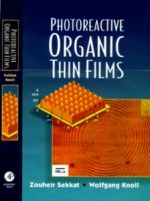 In: Photoreactive Organic Thin Films, S. Sekkat, W. Knoll (Eds. ), Elsevier, San Diego, USA, 2002. E. Katz, A.N. Shipway, I. Willner, Mediated electron-transfer between redox-enzymes and electrode supports, Chapter 17, pp. 559-626. 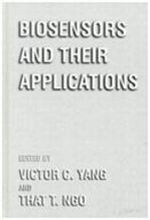 In: Encyclopedia of Electrochemistry, Vol. 9: Bioelectrochemistry, G.S. Wilson, (Ed. ), A.J. Bard, M. Stratmann (Editors-in-Chief), Wiley-VCH GmbH, Weinheim, Germany, 2002. I. Willner, E. Katz, B. Willner, Amplified and specific electronic transduction of DNA sensing processes in monolayer and thin-film assemblies, pp. 43-107. 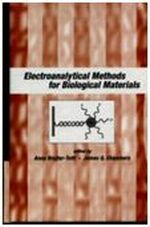 In: Electroanalytical Methods of Biological Materials, A. Brajter-Toth, J.Q. Chambers (Eds. ), Marcel Dekker, New York, 2002. A.N. Shipway, E. Katz, I. Willner, Molecular memory and processing devices in solution and on surfaces, pp. 237-281. 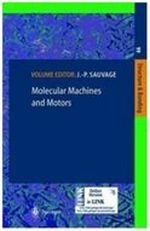 In: Structure and Bonding, volume title: "Molecular Machines and Motors", J.-P. Sauvage (Ed. ), Vol. 99, Springer-Verlag, Berlin, 2001. E. Katz, A.N. Shipway, I. Willner, The electrochemical and photochemical activation of redox-enzymes, pp. 127-201. In: Electron Transfer in Chemistry. Vol. 4: Heterogeneous Systems, Solid State Systems, Gas Phase Systems. 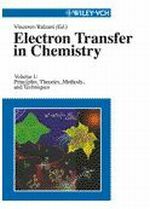 Section 1: Catalysis of Electron Transfer, V. Balzani, P. Piotrowiak, M.A.J. Rodgers (Eds. ), Wiley-VCH, Weinheim, Germany, 2001. I. Willner, E. Katz, B. Willner, Layered functionalized electrodes for electrochemical biosensor applications, Chapter 4, pp. 47-98. In: Biosensors and Their Applications, V.C. Yang and T.T. Ngo (Eds. ), Kluwer Academic Publishers, New York, 2000. 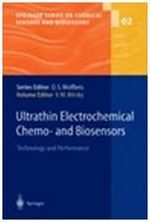 I. Willner, E. Katz, B. Willner, Layered biomaterials on electrode supports: Routes to electrochemical biosensors, immunosensors and DNA-sensors, Chapter 2, pp. 45-102. In: Sensors Updates, Vol. 5, H. Baltes, W. Göpel and J. Hesse (Eds. ), Wiley-VCH, Weinheim, Germany, 1999. E. Katz, Analysis of light energy conversion efficiency in homogeneous photochemical systems based on the theory of electron transfer, pp. 26-31. E. Katz, E.P. Suponeva, Y.N. Kozlov, B.A. Kiselev, Photoelectrochemical approach to the creation of artificial photosynthesis, pp. 31-35. In: Biological cycle of substances and energy in the system of soil-plant, A.I. Gaziev (Ed. ), Pushchino, 1983, (in Russian).